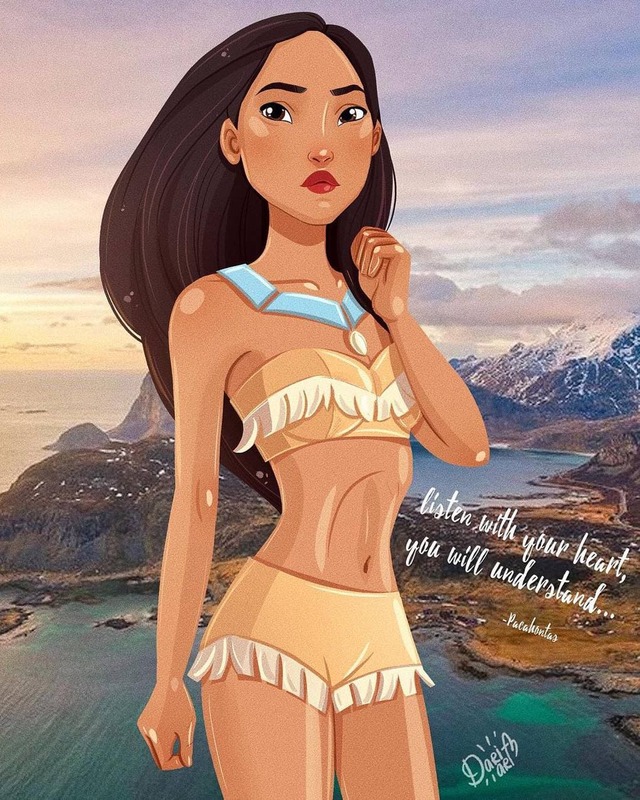 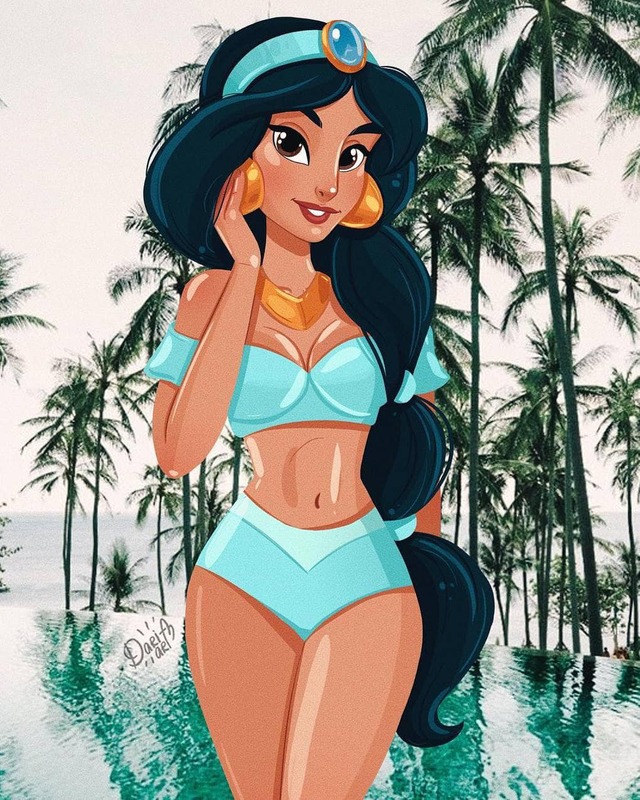 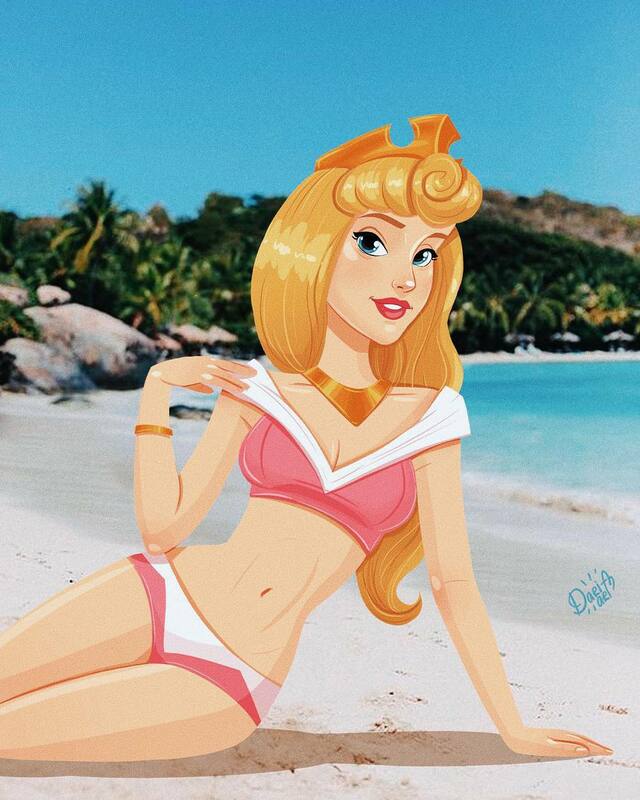 Disney Princess in swimsuits with real backgrounds looks like summer cards we dream about. 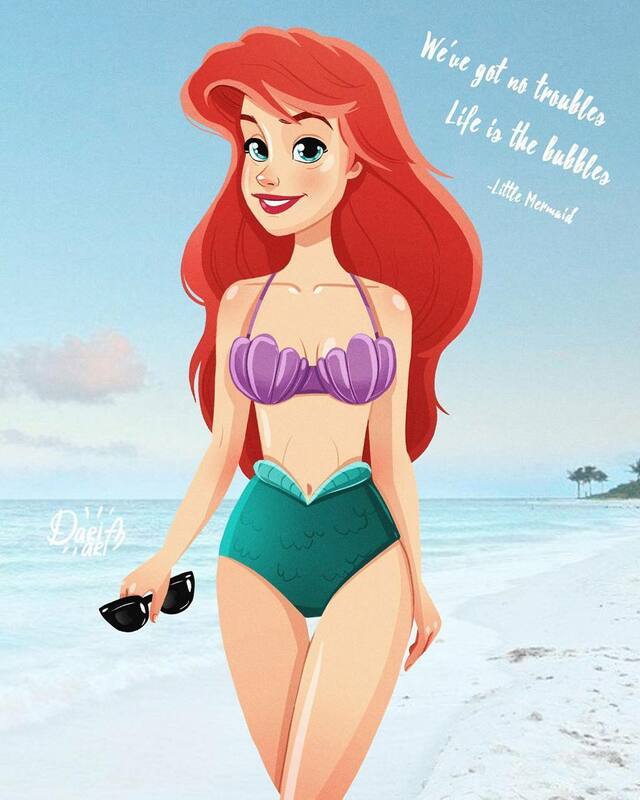 They were drawn by a talented illustrator from Kiev Daria Artemyev. 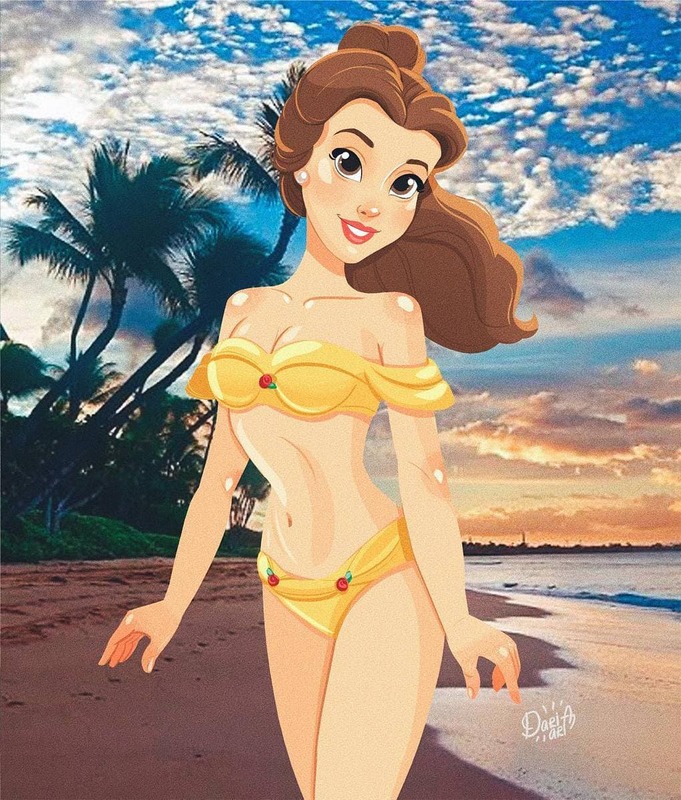 Daria is 24 years old and she works as a freelancer. 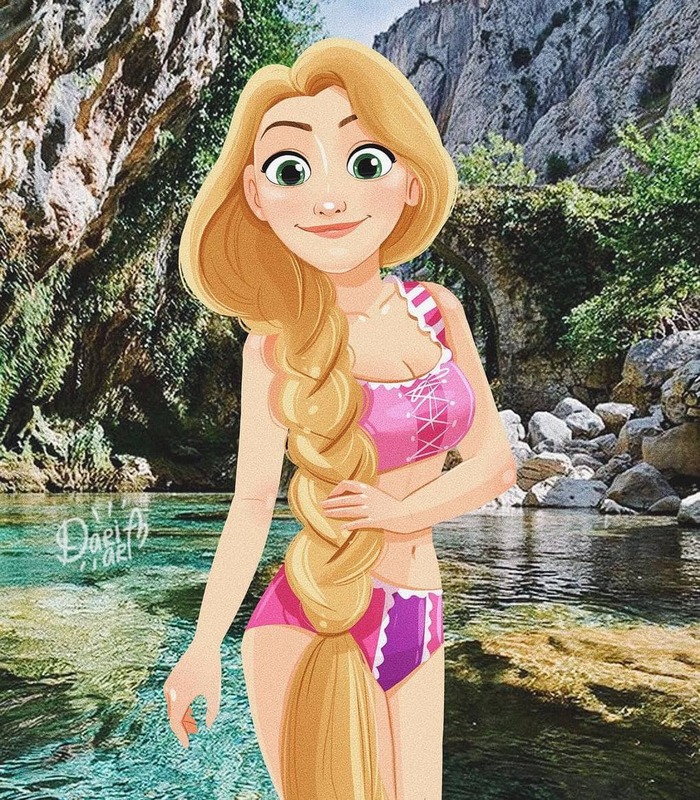 An interesting feature of Darya's drawings is the combination of photo backgrounds and painted characters. 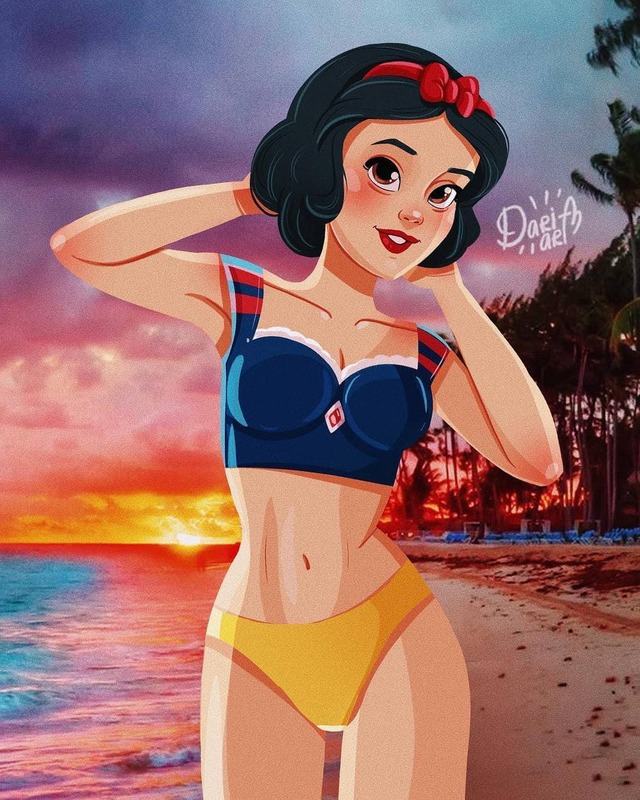 Today we would like to show a series of her works with Disney Princess in swimsuits.